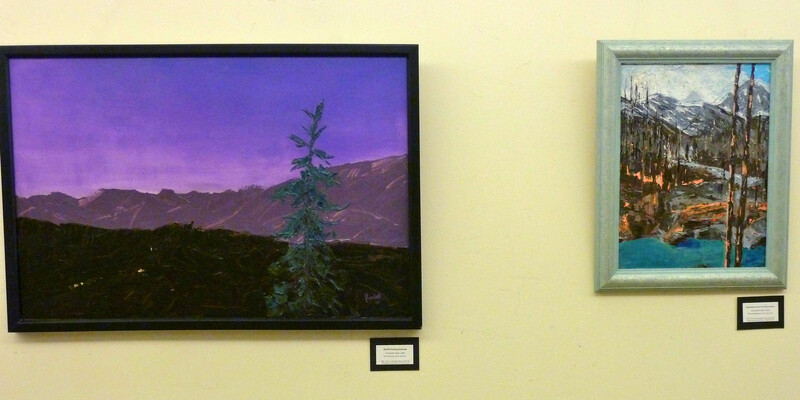 In my previous blog post I shared my Alberta landscape paintings from the particularly busy year of 2010. In this post, I share my landscape works from a couple years before and after that year. Although landscapes are a theme I have always painted, there are periods when they become a particular focus. 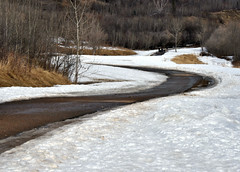 In around 2010, I developed a new series of landscapes from my home province of Alberta. Most of these again depict the prairies and parkland that dominates the central region of the province. 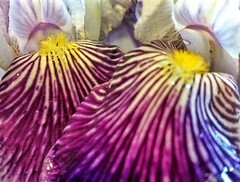 I was painting primarily with oils during this period and this series was painted in the studio. In the late 1980’s and early 1990’s the subject matter of my painting was primarily landscapes, and more specifically the prairies, parkland and foothills of central part of Alberta. 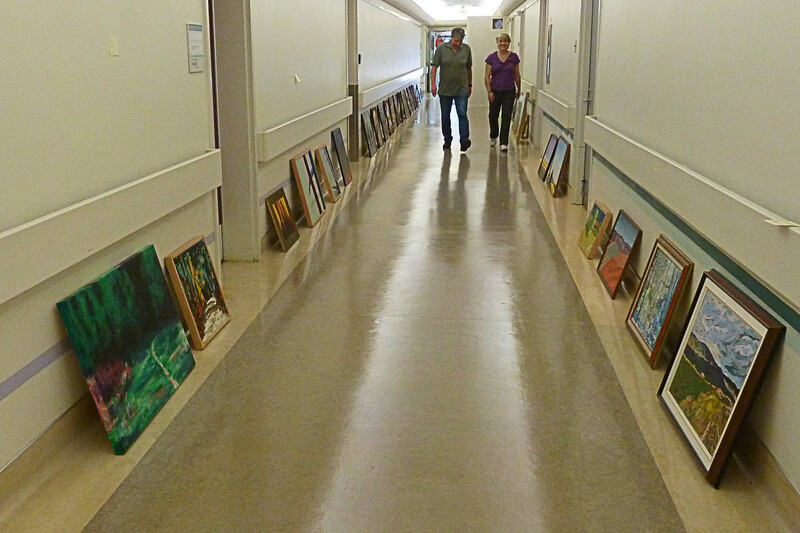 Yesterday, 2012 July 7, I had the pleasure of setting up a major show of 43 of my paintings at the Misericordia Hospital in Edmonton. 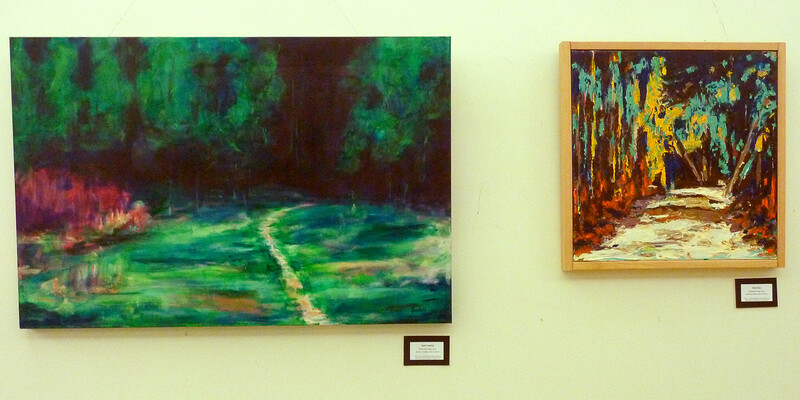 The show includes paintings spanning my painting career of some 25 years. 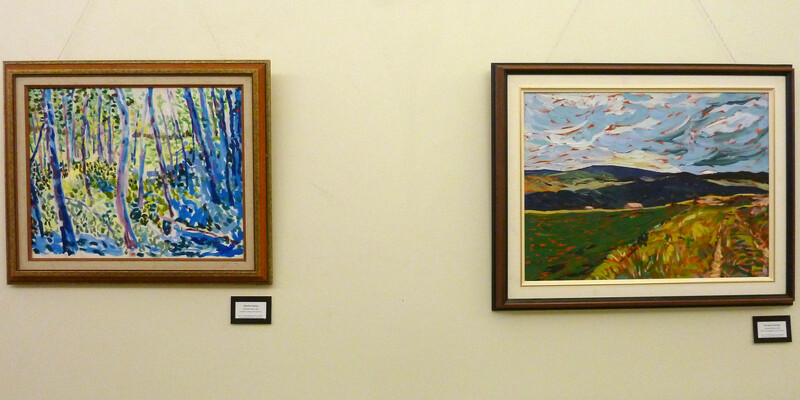 The first paintings encountered as one travels the hallway north of the main lobby is a group of seven paintings depicting the Canadian landscape. This group was inspired was inspired by a train trip I took a few years ago from Toronto to Edmonton, and particularly the rugged Canadian Shield in Northern Ontario. After passing through this group of paintings, a turn to the left takes one into the hallway that contains 36 of my paintings – landscapes, abstracts and some in between. 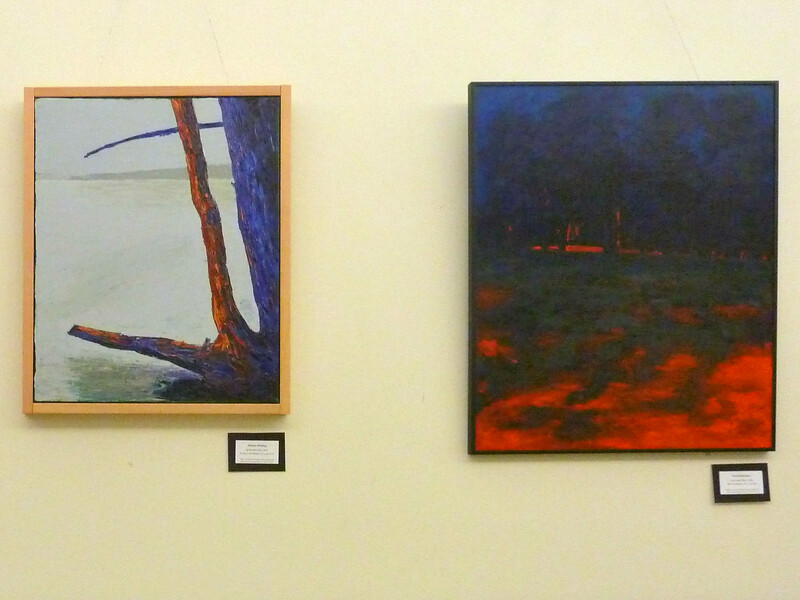 First, on the right, are 3 landscape paintings going back to the 1980’s. There is a landscape of the the Auvergne region of France and couple of Alberta landscapes (done in very different styles). 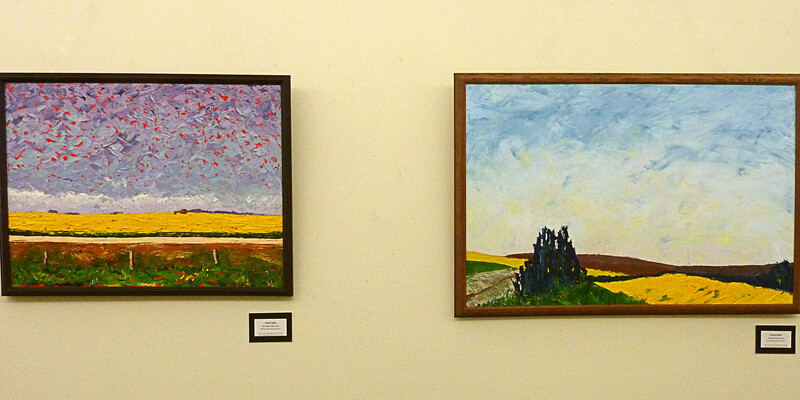 Next on the right are a group of five paintings of the Alberta prairies from the last 4 years. The Prairies give way to the mountains with a eight paintings (some quite abstracted) from 2009/10 depicting scenes of, from and in the Canadian Rockies. At the end of the long hallway, one turns around and returns, seeing a few more of the mountain group and then a selection of ten paintings from my Earth Light Tapestries series. 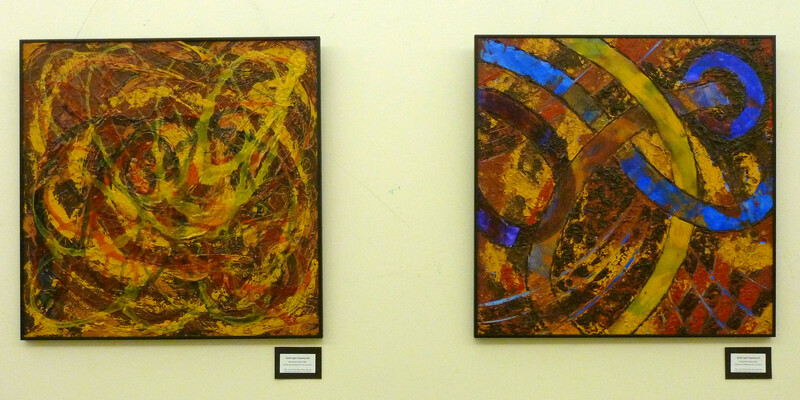 This series of 24 highly textured acrylic paintings was created on 2006/7 and 14 of them were exhibited at Edmonton’s Milner Library gallery in the fall of 2009. Seeing 10 of these 24 by 24 inch (61×61 cm) works in a row is quite impressive. Next are 5 paintings of an abstract nature including 1 that was inspired by an early morning train arrival into Vancouver and two from a scene on Beddis Beach on Salt Spring Island on a foggy November morning in 2007. 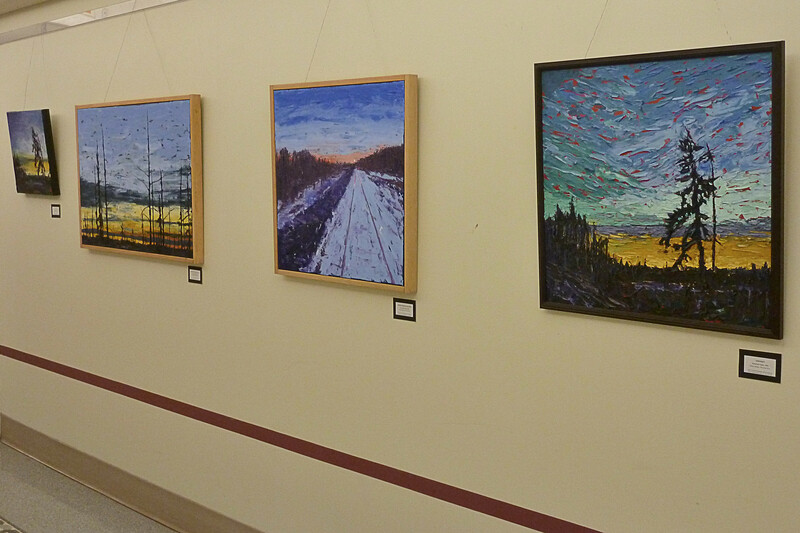 Back at the start of the long hallway the show ends with a few of my most recent canvases. This show runs through to August 17th on the main floor (look for the Day Ward hallway) at the Misericordia Hospital in west Edmonton [map]. The works are for sale during the show – contact the Misericordia Volunteer office (780-735-2754) for more information.